An ad request really is like a group discussion with everyone bringing something to the table. 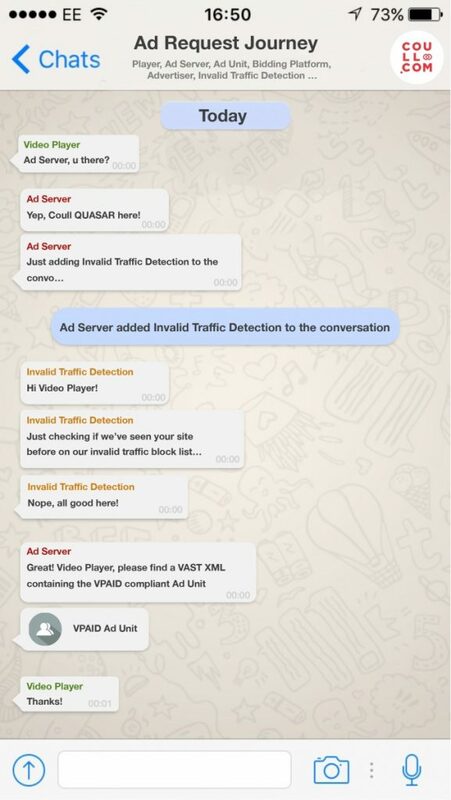 Our Invalid Traffic Detection looks pretty straightforward but it’s actually made up of multiple fraud detection vendors as well as our in-house compliance team. Also, our QUASAR tech has some amazing layers that help us ensure the best inventory and brand match. The right conversation means we get the best possible performance every time. 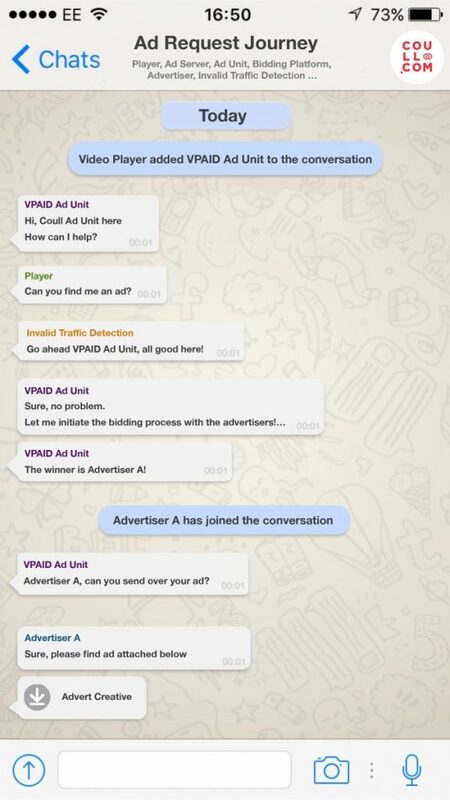 We hope this Whatsapp style conversation helps to clarify the ad request process and get some more conversations going. Auto-play video for mobile is evolving. But who will have the final say? Apple and Google want to give ad tech companies an alternative way to auto-play video ads on the mobile web, one that avoids the use of nasty hacks to enable auto-play functionality. While this sounds like a step forward, the IAB is far more concerned with the user experience and wants to limit auto-play video on mobile to Wi-Fi connected devices. In reality, both of these options have the same goal, to reduce the burden on the user’s device. The result – an improved user experience. We’re going to dig a little deeper to uncover the merits of each so you can decide which is more valuable. Auto-play video ads in your phone browser use up a lot of data over time. Despite this fairly obvious negative implication, the format is growing in popularity because it can drive 10x the revenue of standard image ads. Until now, getting a mobile video ad to autoplay has required reliance on a hack, especially on iOS where a video had to load in the full-screen native player. The new iOS and Chrome updates change all that. It’s time to say goodbye to the hacks and the problems associated. You can look at mobile auto-play video on a spectrum of polished, to pathetic. At one end, you have the best example of the ad format in all its glory – on Facebook. Auto-playing muted ads are implemented in a controlled environment within the user’s feed. Technically speaking, there’s only one ad call, and because Facebook controls the ad unit and ad server it can be lightweight code and compressed video – both easy on the device. The user decides to disable auto-play or choose to only accept it on Wi-Fi. Despite this choice, you will find that no one chooses to limit it because the settings affect all video – not just the ads. It’s in-banner video, but in it’s most considerate format. If and when an ad is returned, the ad tech used by the arbitrager exploits a browser hack via the HTML5 <canvas>, not the <video> as intended. This is slower and doesn’t provide any playback or volume controls – less than ideal. Apple with iOS 10, and Google with the latest Chrome update 53 have taken a pragmatic approach. They’ve looked at the data and seen how much this shoehorned method has slowed web pages, especially heavily arbitraged ones like NYPost.com and Wikia. The updates they’ve implemented go a long way in improving the mobile experience, but have they considered the user enough? The new draft proposal has some big changes for Outstream players like Teads, and also the arbitrageurs mentioned above (pretty much every video ad network). This guidance addresses video ads in non-video environments. Video guidance applies to in-banner videos and ‘outstream’ ads that are placed in between non-video content, e.g. in an article or in lists or any video ads in non-video content experiences. 1. Video MUST be user initiated. 2. Video controls to Mute/Unmute audio and Pause/Play video MUST be available when a video is playing. 3. The RECOMMENDED maximum length for in-banner video is 15 seconds and 1.1 MB file size. 5. Video download MUST NOT start until user initiation. 1. When a user is on Wi-Fi or broadband internet connections. This is to respect the user’s cost of consuming content. 2. Audio MUST be muted when a video is played without user initiation. 3. Auto-play MUST begin after an ad is at least 50% in view. 4. Auto-play MUST provide pause/play and mute/unmute controls from the start of video play. Even in a draft, it’s a clear message from the industry’s own trade body that more respect should be shown to the user, and to stop pushing them to install ad blockers with obnoxious execution. Google and Facebook have made a commendable move to provide a much better mobile auto-play video experience. However, the IAB’s assertion is that auto-play is interruptive, cumbersome and a financial burden to the user. You can bet there will be lots more to come from them in the near future and it will be interesting to see how Google and Facebook respond. Digital advertising in Asia is growing, and fast! 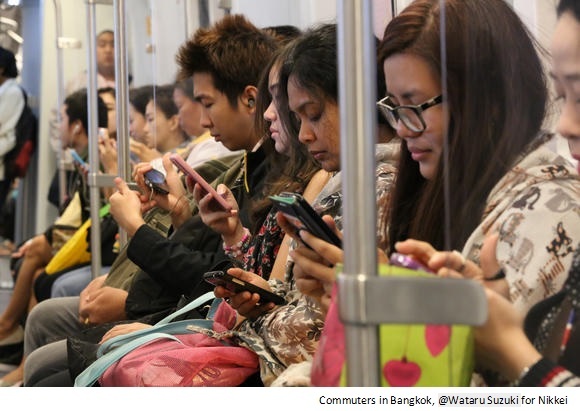 Why should we care about the digital advertising market in Asia? According to the latest Strategy Analytics report, this year the Asia-Pacific region (APAC) is likely to overtake North America as the biggest digital advertising market worldwide. 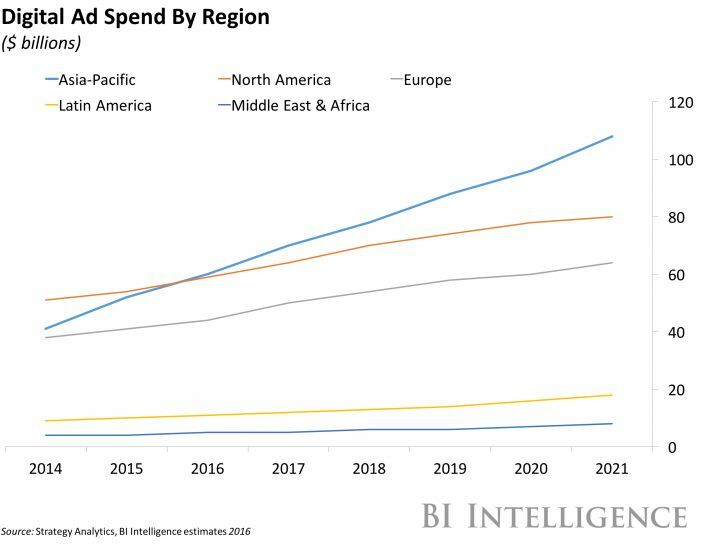 Predictions range between an 18%-20% increase in digital ad spending, which would bring its total spend for 2016 up into the region of $70-$80 billion. This is a staggering figure and one we shouldn’t overlook. Perhaps unsurprisingly, China is firmly in the front seat of this drive in digital ad spending. This year, 44% of total digital ad spend worldwide will come from the U.S and China alone. But China isn’t an oddity, with the likes of Japan, Thailand, India and Indonesia, the region boasts half of the world’s top six countries in digital ad spending. What is unique and desirable about the Asia-Pacific digital market? The majority of people in APAC interact and engage with the digital world through their smartphones. In China, uniquely, users often even favour apps over the mobile web. Understandably, many APAC countries have become critical markets for mobile app and gaming companies. Leading in-app advertising company, Vungle, saw ad revenues soar up 400% in China from 2015. Mature markets such as Singapore have well-developed broadband networks, providing a large internet-connected audience. WeAreSocial reported that an impressive 82% of the city-state was connected to the web. The availability and size of the audience in many countries in APAC are attractive, and there’s plenty of room to grow. Currently, spending per person in APAC is around $15, compared with $165 in the US and $95 in Western Europe. Pokémon Go has highlighted the potential of location-aware apps and geo-targeting. This week, breaking away from its traditional mould, Japan has become the first country to include in-app brand sponsored locations with McDonald’s Japan. What are some of the challenges of the Asia-Pacific market? Just because it works in the West, doesn’t mean it will work in APAC. Whilst foreign companies can bring a lot of value to the region and act as a bridge between China and the rest of the world, it’s essential to tailor tactics to the region. Vungle’s success in China is largely due to their commitment to understanding the local market. By hiring Chinese-speaking employees and sending them into the field, they’ve localized everything from sales, engineering to account management. The Chinese firewall not only screens and blocks websites, but also slows down almost every international ad call. Moving forward, companies would benefit from investing in localizing their servers. Anti-piracy efforts and viewability standards abroad are yet to catch up with the U.S. and Western Europe. In addition, many APAC consumers in countries such as China are mobile-savvy and aware of the latest ad blocking technology. According to a study by PageFair, 36% of smartphone users in APAC countries have ad blockers installed. To recap, the potential of programmatic video in Asia-Pacific is huge. Foreign companies should not be discouraged by the regional challenges; APAC offers a unique market that’s only just taking off. The Coull Quickie for May is here and it’s not good news for publishers as 3 Mobile UK sets to trial Shine’s ad blocking tech at network level. 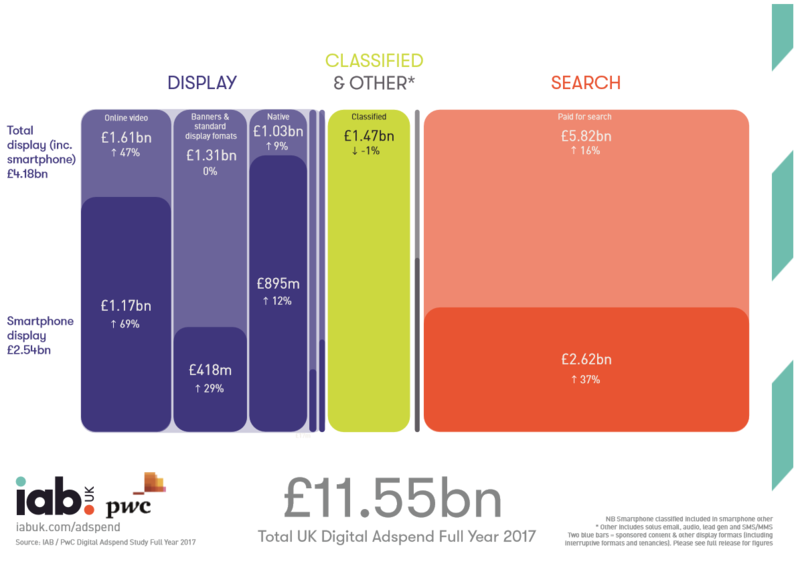 The IAB US reveals some interesting stats around new viewing habits, AppNexus launches free viewabiltiy measurement for its partners and the Guardian launches their own native mobile ad formats. Get all the latest programmatic video advertising news right here, every month. As part of our blog series on mobile advertising, we spoke with Ionut Ciobotaru, Co-founder and Managing Director of PubNative. Ionut tells us more about this native SSP and how native mobile advertising – specifically video, is evolving. We know mobile is exploding in regards to advertising, especially video. Can you explain what role PubNative plays in mobile advertising? PubNative is a global mobile supply-side platform (SSP) that’s fully focused on native advertising. We work directly with mobile publishers to understand their needs and provide monetisation solutions. We have a huge range of demand in order to create good competition within the PubNative marketplace and maximise the eCPMs for our publishers. Our business model is based on a revenue share with publishers, they can receive up to 90% of the revenue generated through our platform. In terms of video, we’re working on some native and in-feed video ad placements. This is a really interesting area and it’s something we’re working hard on. It’s changing pretty fast but definitely offers an exciting future. Tell us about the ‘native’ side of the business. How you differentiate native mobile from other mobile ads? At PubNative, we see native advertising as a framework. Adverts should fit the form of the context (i.e. the UX), but also the content. Through this combination, native ads should actually enhance rather than disrupt the user experience. Firstly, in terms of UX, the ad should fit in with the app and not look out of place. If we look at Instagram, the native ads fit seamlessly in the feed and therefore don’t interrupt users when scrolling. In terms of context, it’s about delivering relevant adverts according to the user profile. To take the example of Instagram again, they use information about a user – for example, an early 20s woman from San Francisco who follows fashion accounts. With this information, they’re able to use adverts that fit the context of that user’s Instagram feed. For example, with adverts for related fashion products. How do you best work ads around UX for gaming apps? This is actually something I covered relatively recently in our blog, looking at several examples of in-game advertising. Overall, the issue is about following the principles of fitting the advert to the content and context of the games. In real terms, this means a consideration of the way a game is built, amongst others. For example, users are likely to be more to download a similar game when they’ve just completed a level rather than halfway through. By considering factors like this, we can boost UX and improve installs. What is the biggest challenge for mobile advertisers at the moment? One of the biggest challenges is educating mobile advertisers. Since mobile native is still new, it’s really important to spread the word to advertisers and publishers. Many marketers like to stick to what they know, so this is about showcasing why native is a future option and illustrating its qualities in comparison to more traditional formats. To what extent do you think mobile publishers are being affected by ad blocking? How do you approach this problem? I’d say that mobile is being marginally affected by ad-blocking. There are two cases to consider: mobile in-app, which can’t be blocked so easily so the impact is minimal. And mobile web, where all the ad blockers can function, but its impact is actually pretty limited. In addition, Google recently removed Samsung’s ad-blocking tool, showing the influence of major players in the market. With movements like the Acceptable Ads Manifesto, the industry is evolving in a way that both advertisers and users can live happily ever after. For those of us working in the native sector, this is about making sure our adverts work with the form and the function. With this kind of combination, we should increasingly see adverts deliver value to the user and in turn, remove factors that cause the use of ad blocking in the first place. 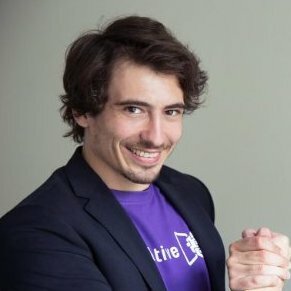 You have global offices, what is the scale of PubNative and are you seeing any particular trends based on geography? Our HQ is based in Berlin and we also have offices in San Francisco, Beijing and Seoul to serve all of our major markets. We’re expanding fast and Berlin gives us the ideal location for working between the two time zones. APAC is one of the fastest growing markets for us. Smartphone penetration is particularly high there and some of the emerging markets are mobile first. Still, because of its maturity, the US remains the highest revenue generating market. In-app and mobile web are significantly different when it comes to ad serving. Do you service both mobile formats or do you deal purely with apps? Most of our clients are mobile app publishers, but we also work with mobile web publishers. With so much search being conducted through mobile web, it’s still a significant source of traffic for advertisers. Mobile web can be seen as falling somewhere between desktop and mobile app. Whilst it often employs resized ad formats used on desktop, it has to be optimised for the smaller screen and provide good UX. If you work with both is there a particular advantage one has over the other? It really depends on the user base of mobile web and apps. At the moment, I’d say that there are more native formats for in-app native rather than for the mobile web. Mobile web is an application of the desktop meaning the content is being consumed in similar ways. Such as using news websites, blogs, portals, etc. This means that native on mobile web is a direct replica of native on desktop, so it follows the IAB Native Advertising Playbook guidelines. Another factor is simply mobile optimization. Some companies fail to adequately optimize their sites for mobile, and so, ads on these sites are unlikely to provide good UX or ROI for advertisers. Mobile apps, on the other hand, have specific functionalities, such as games, and the UX is very particular to each function or app. In turn, this means that in-app native advertising has to be much more flexible in terms of format. 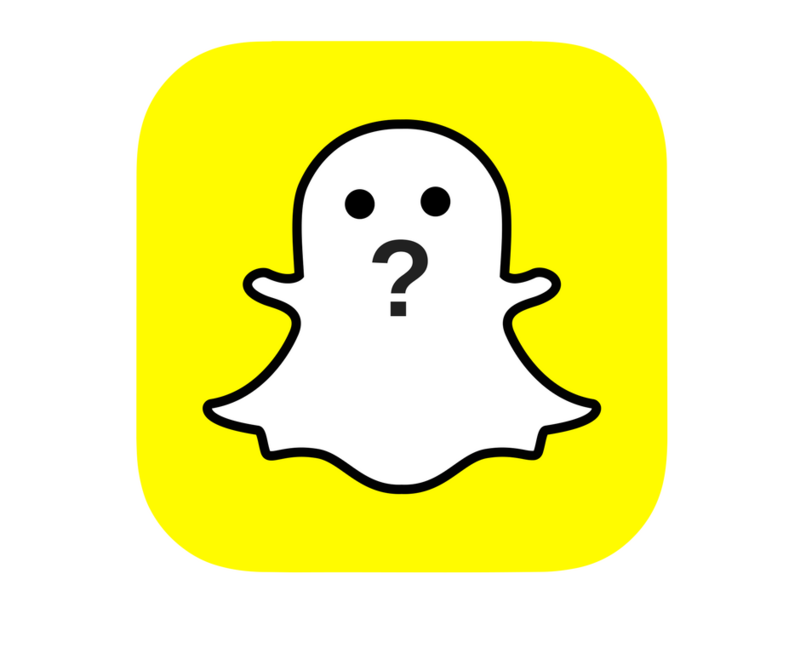 Do you encounter any issues with transparency and how do you tackle viewability, brand safety and fraud issues within mobile? Ad tech is a fast-moving space that has evolved incredibly quickly. So, it can be difficult to ensure that everyone follows best practices and plays by the rules. The issue of fraud, in particular, has certainly been a topic of conversation lately. In fact, there are a number of different fraudulent activities that have taken place, one of which is the issue of click spamming. We need to come together as an industry to ensure that we reduce the frequency and impact of issues like ad fraud. As well as fraud, there a number of other issues that affect the industry. In terms of viewability, the MRC has actually just released a paper on the viewability of native ads, so this part is already happening. Increasing transparency on both the publisher and advertiser side would also help tackle issues like fraud. 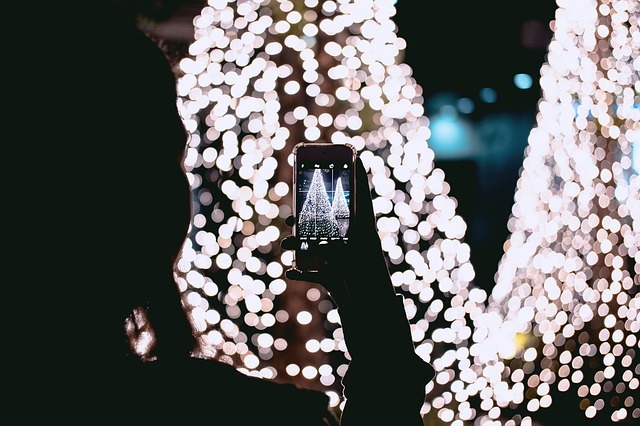 What is your mobile advertising prediction for 2016? Is this finally the year of mobile (at least when it comes to advertising)? As the mobile native advertising ecosystem continues to rapidly evolve, 2016 is going to see technology advancements that support an increasing demand for control and transparency. While mobile advertisers are requesting more guarantees over their native programmatic campaigns (viewability, fraud), mobile publishers are rightfully demanding more transparency in pricing. In this context, we should inevitably see the emergence of independent, third-party technology solutions – unified platforms. These platforms will aggregate all mobile native demand, enabling publishers to price their inventory and maximise their revenue in a transparent way for advertisers. Ionut Ciobotaru (Co-founder & Managing Director of PubNative) started his career with a web development company and several technology-related blogs. After years of entrepreneurial work in fields like eCommerce and digital marketing, Ionut sought a new challenge in the mobile space. He joined AppLift where he successfully developed company’s product suite for publishers and media partners. In order to fully focus on improving solutions for mobile publishers, he founded PubNative, a native mobile publisher platform. To kick-start our series on mobile video advertising, we were interviewed by native mobile advertising SSP PubNative. Michelle talks about the current mobile landscape and its opportunities. She also addresses industry issues and where Coull fits into the future of mobile video advertising. In our follow up, you’ll learn all about native mobile advertising from PubNative themselves. Thanks to the team at PubNative for this story. 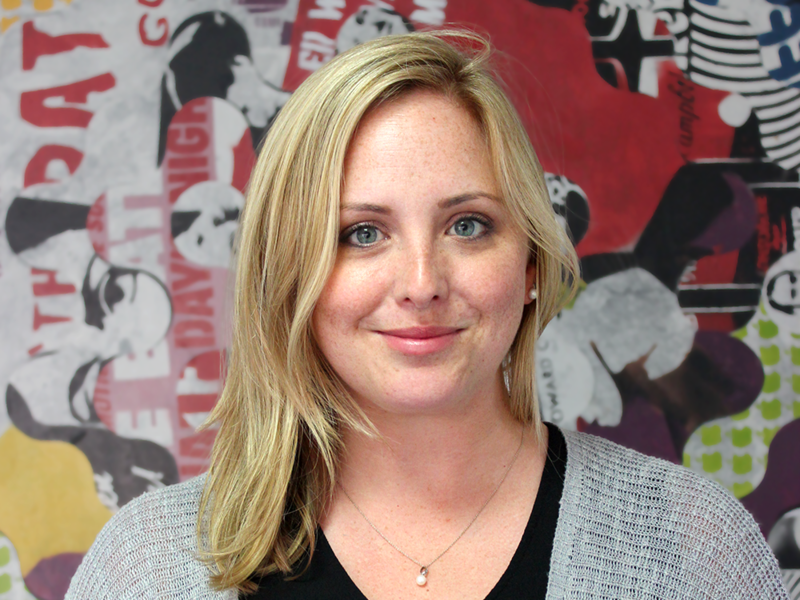 Following Native Insights #4 in which we spoke to digital marketers Cyberclick, this time we are tackling the video ad space with Michelle Bommer from Coull. The British company are a video ad platform for advertisers and media companies. For more info on video, you can also read our guide on what you need to know about native video on mobile. Can you introduce Coull and what you do? We’re a young, talented team building the next generation video advertising platform. We work with publishers to classify, filter and monetize their video inventory. Advertisers work with us for a direct route to our unique video inventory, used for engaging ad campaigns. We have some awesome, unique propositions. Such as, our exclusive in-video overlay ad format which is really powerful, especially when combined with our pre-roll. This gives advertisers the opportunity for deeper engagement, brand uplift and audience data. The really exciting thing about Coull right now is that we are cleaning up the programmatic marketplace. By being more transparent, it’s becoming a safer, more efficient and profitable digital ecosystem. We’re building a sustainable digital exchange from within our own technology stack. We’re redefining what ‘quality’ inventory is. For our partners, quality means being able to buy video inventory that’s brand safe, viewable and human. We also provide RTB feedback and have a dedicated team to optimize campaigns. 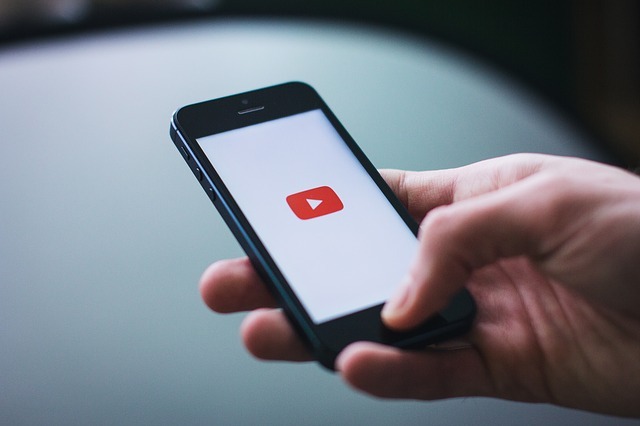 How much of a difference is there between desktop and mobile video advertising? There’s a big difference between the way audiences interact with video content depending on device. Metrics like Click-Through Rate (CTR) don’t work the same way on desktop and mobile. Also, audience behaviour across those interfaces is very different. For example, View-Through Rate would be more suitable for a mobile video ad campaign, because the video takes up most of the screen. However, on desktop, the video may only take up a portion of the screen, therefore, they’re competing for attention. The big difference we’re seeing is that mobile is where desktop was 1 or 2 years ago. Programmatically it’s exploding, but in terms of measurement optimization, the industry isn’t there yet. There’s a lot of work to be done, but the potential for massive growth is undeniable. In terms of mobile’s capacity in programmatic – 2016 is the year of mobile! What kind of demand are you seeing across the three formats of desktop, mobile and in-app for video ads? And how do you expect this to change? Our network receives around 54 bn ad requests a month and it’s growing rapidly, mainly due to mobile. OverStream, our unique ad format combines pre-roll with branded in-video overlay in many devices, so we’re seeing demand across the spectrum. The issue at the moment is that the majority of publishers still have VAST. 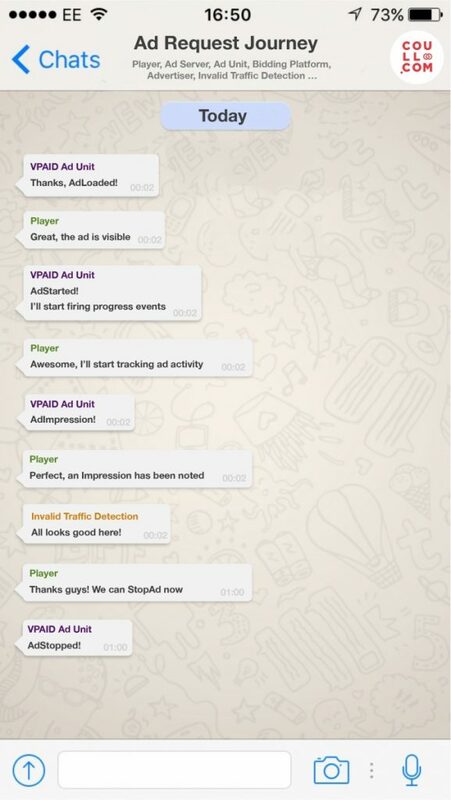 It’s not until they adopt VPAID inventory that the scale is going to grow immensely. For publishers, it’s a matter of investing in development work to make their content VAST compatible. Then once this investment is made, they’ll see a huge increase in CPMs. Mobile traffic is much easier and more effective to monetize. 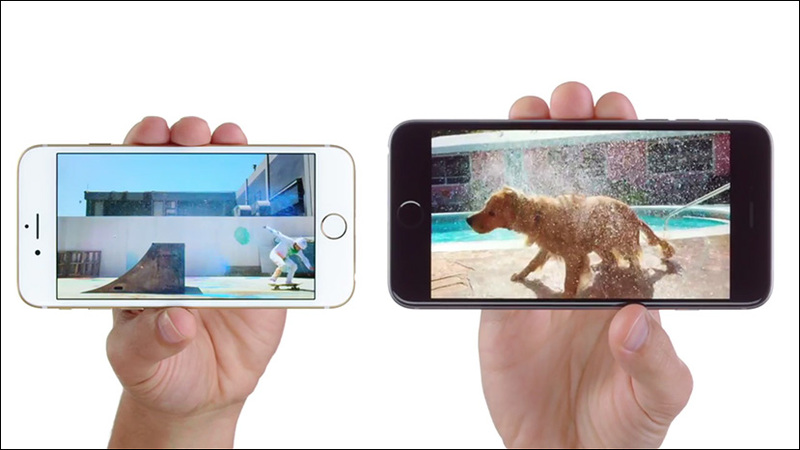 How have you seen the mobile video landscape developing in recent years? Mobile video used to be a big unknown for advertisers. They wanted to be in it but saw it as a black hole of spending without metrics. Now supply partners, such as ourselves, have provided support for brand and verification vendors. This allows advertisers to work out their campaign costs and buy with confidence. In which circumstances do you think mobile video advertising is best suited? Mobile video is another form of publisher inventory and it’s incredibly popular with audiences, especially millennials. There are plenty of statistics that show the massive growth and popularity in video. It’s only natural that advertising spend should shift with that trajectory. According to a study from IAB last year, video is on the rise with 35% of respondents viewing content on mobile devices. Consumption was even higher in countries such as the US (50%), Canada (42%) and the UK (40%). Video is the new storytelling medium. The only way mobile advertising wouldn’t be suited is if the inventory wasn’t brand safe, or was coming from a fraudulent source. That’s why, at Coull, we’re hot on transparency. Our dedicated compliance team detect viewability and fraud to ensure our inventory is brand safe. We believe publishers deserve to be paid for content and advertisers should buy quality inventory, so that’s what we facilitate with our platform. We’re seeing fantastic performance in-app but, suitability wise, both in-app and mobile web have the potential to take video to that next level. It’s not a matter of mobile advertising not being suitable, it’s a matter of ensuring the format doesn’t disrupt the content. And that’s where we will see big changes in the coming months, with the development of new and engaging ad formats. What kind of metrics are available for measuring user engagement with videos? What are the main mobile video KPIs? Being able to measure engagement and campaign ROI requires data. There’s a reason data scientists are in high demand. It’s no longer acceptable to use the same metrics for standard digital and video advertising or to assume a floor price. The inventory is different and the user engages with it very differently. We now have metrics for mobile video such as View-Through Rate (VTR). VTR is much more indicative that CTR because it can report whether the content was watched all the way through, not just if it was clicked on. It’s also important for advertisers to choose whether they buy click-to-play inventory. This inventory type gives a much better chance to measure engagement and viewability. What kind of role is data playing in mobile video advertising? Data enables advertisers to buy with confidence – confidence in user-targeting, category segmentation, and ensuring a brand safe and fraud-free environment. When we’re talking specifically about mobile, there’s location data which can enable better targeting. But whilst it’s great that data is playing a big part in improving programmatic, we need to keep a high standard of this data. We need to ensure transparency and only collect non-identifiable data. How do you expect the mobile video space to develop in the next few years? Mobile video is only going to get more and more popular with people consuming video on the move, and while interacting with ‘omniscreens’. You no longer watch the TV without a second screen close at hand. So we expect to see full-length TV commercials purposed for mobile and more engaging formats to enter the space as the industry gets more creative in competing with ad blockers. Ad fraud, transparency, viewability and brand safety, the big buzzwords in desktop advertising now will quickly need to be addressed on mobile as well. Native advertising will be one area that grows rapidly because, as a format, it’s already ahead of the game in regards to these issues. Michelle Bommer leads the Coull Ad Ops team from beautiful San Francisco, California. She delivers in-video overlay and pre-roll advertising campaigns across mobile and desktop inventory. 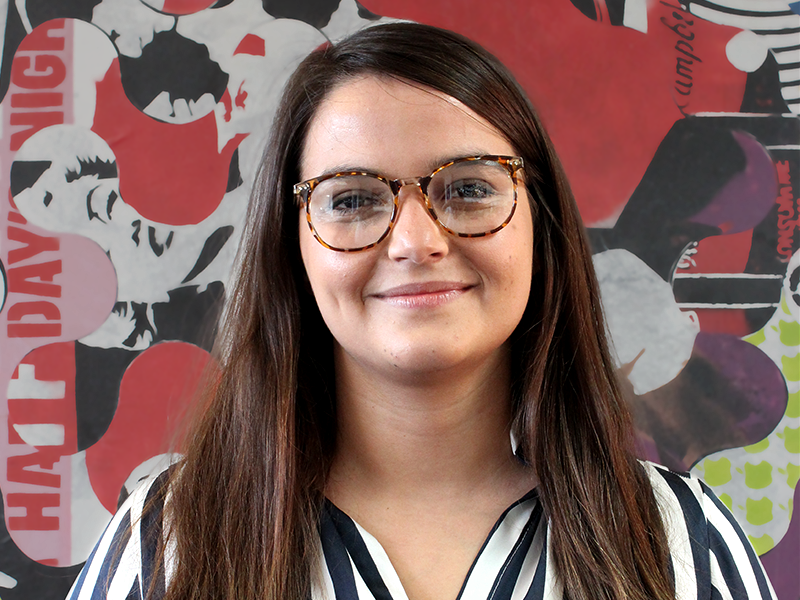 She’s been an integral part of Coull’s growth due to her knowledge and experience with programmatic campaigns, yield optimization, and account management. She heads up a talented team of people who deliver the benefits of Coull’s proprietary tech. Read the follow-up interview with PubNative here. Programmatic advertising has had a turbulent year. Advertising budgets started to swing away from traditional channels. But budgets didn’t fully swing to digital because of a lack of trust in programmatic. Many issues rose to the top of the programmatic advertising cons pile in 2015. The good news is, these problems can be addressed and even put to rest in 2016. This is largely thanks to the work being done behind the scenes by ad tech companies. We must, however, learn from the problems we’ve faced this year if we’re to avoid the havoc and scrutiny we experienced in 2015. In this fresh industry, many companies have attempted to cash in while cutting corners. 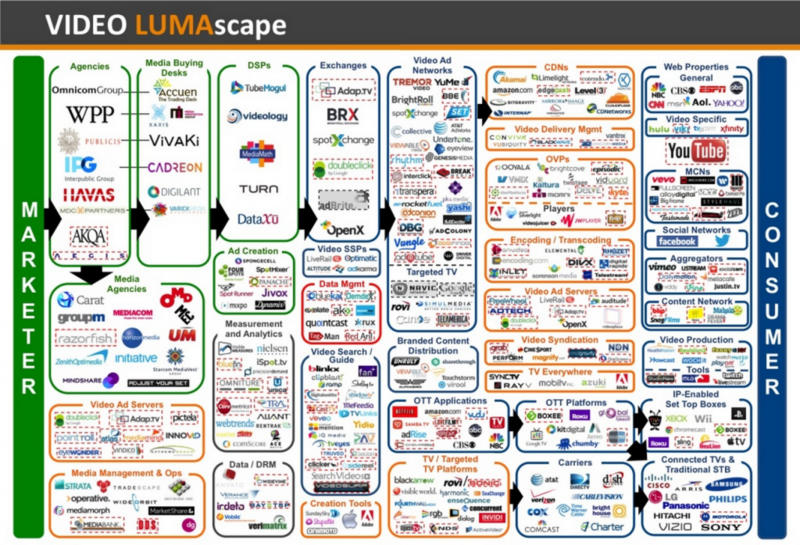 You just need to take a look at the digital ‘lumascapes’ to see how crowded the industry is. It’s tricky for anyone to navigate the maze of choice, let alone settle on the right partner. Media is consumed very differently today. People communicate, entertain and learn from many new sources. Expecting a seamless experience for everyone, with no one trying to take advantage, is pretty ludicrous. In this crowded world, there’s a real need for specialists who can identify and build responses to programmatic advertising pitfalls. These specialists will improve performance and revenues in 2016, so don’t count them out. In April 2015, the IAB reported 68% of marketers anticipated increasing their digital video ad spend over the next year. Can brand safety be guaranteed? It’s no secret programmatic advertising has endured a year of inefficiency. However, according to eMarketer, ad spend in programmatic video is set to jump 84.5% in 2016’. Proprietary tech, such as that built to drive Coull’s video ad exchange, is stepping up to implement solutions. We’ve built a new breed of ad exchange, and so we have specific standards for programmatic advertising and quality inventory expectations. Video on demand (VOD) is now a huge part of our lives and so, subscription services like Netflix, NowTV and BBC iPlayer are competing for your dollars every month. Therefore, there are huge opportunities for highly competitive places, like America, to make revenue from advertiser based video on demand (AVOD). As more VOD services become available, we predict that video will become increasingly popular on mobile devices. More mobile video content could mean huge opportunities for mobile advertising. It’s clear that mobile video is still not being fully-optimized. But hopefully, this will encourage better ad creatives and more user control. This will not be another ‘year of mobile’. It will be a year of programmatic advertising tech and the growth of mobile advertising. This year will see mobile video grabbing advertising budgets, but networks will have their work cut out before any real improvements. For mobile advertising to succeed, video publishers and platforms need to allocate budget to make video compliant and standardised. Also, mobile advertising needs agencies with creative gusto, willing to drive better ad formats and better stories. Perhaps more importantly, we need to make a better user experience, otherwise, ad blockers will win. For any of this to happen, industry bodies need to step up and ensure video inventory is held to higher standards. This means ensuring VPAID compliancy and video players are up to spec. It’s time publishers work with their video and tech partners to ensure standards and metrics can be met. This is really the only way we’re going to start seeing consistent reporting and better user experiences. Walled gardens surfaced in 2015 but not without publishers becoming much more self-aware. In order to go around these walls, publishers began using header bidding and took back control from Google DFP. As Google and Facebook work to keep content and data inside their own bubble, it’s up to publishers and advertisers to review the value exchange. It’s also up to ad exchanges and technology platforms to provide better options for media companies. Ad blocking, viewability, fraud and data security was at the centre in 2015. But better ad experiences, mobile video and better measurement standards will hopefully be the industry saviours in 2016. Over half of the mobile browsing market (52%) will be at the mercy of ad blocking technology following the launch of Apple’s iOS 9 on Wednesday, 16th September. Ad blockers have been available to Android users for a number of years but only recently available on iOS through jailbreaking. By making ad blockers downloadable from the App Store, Apple aims to improve the browsing experience for its users and attenuate the drain on battery life and data used when ads are loaded in browser. While this may address headaches for iPhone users, what does this mean for the advertising industry, especially those who rely on ads to provide a free service? Why are ad blockers bad for digital advertising? Ad blocking is impeding revenues of any site using ads to monetize content. Worst affected are those with revenue models relying solely on advertising. These are often smaller publishers that don’t always have the means to adopt new forms of monetization. So should more established web presences with multiple sources of revenue feel less of an effect? Not necessarily. Despite a whitelisting policy that is presented around ad quality, claims that ad blocking is little better than an extortion racket are widespread, as big players like Google pay ad blocking companies for their ads to be let through. Apple tech releases receive colossal amounts of media coverage, potentially generating masses of exposure for ad blocking technology. Ad blocker usage may escalate as a result, not just on mobile, but across a multitude of devices and operating systems. It will increase the percentage of digital content exposed to ad blocker by allowing it to be used on iOS mobile-web, which accounts for 14% of total web traffic. Why are ad blockers good for digital advertising? The reaction to the iOS 9 updates and ad blocking in general signifies a transition in digital advertising. The industry is starting to wise up to invasive, extraneous ads and recognize the need for a better online experience. The question that needs to be addressed is: why do people choose to use ad block in the first place? When a problem presents itself, so does opportunity, and startups are innovating to tackle the web’s ad block problems. The Crystal iOS extension allows users to curate their own whitelists by hand-picking which, if any, banners, blocks, popovers and auto-play video they want to see during their browsing experience. Opportunity is also growing for app monetization. Unaffected by most ad blockers, in-app CPMs are likely to rise and more premium in-app inventory will enter the marketplace. This is where Apple’s iAds and other providers of in-app advertising will profit. As ad blocking prevents ad requests from being sent, the increase in mobile ad blocker users is relative to the decrease in total mobile-web inventory available to advertisers. A decrease in available mobile-web inventory will drive up the value of in-app inventory for brands and encourage publishers to migrate content to app platforms for higher CPMs. Short term, the growing popularity of ad blocking is not good for digital advertising revenues. Long term, this could be the catalyst the ad industry needs to rethink current digital formats, improve measurability and design creative with user experience in mind.